Have you ever felt uncomfortable about your child using a public change room or getting changed in public? Or, have you ever been a long way from a change room yourself? 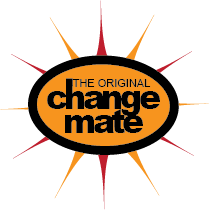 Our Australian made, Australian designed Change Mate is an innovative product that is multi purpose that can help you. With pockets that your hands can go right through to remove or put on any clothes, this is the perfect accessory for...well anywhere! One size fits most, so the kids can use it as well as the adults. Please sign up with us below so we can keep you posted with new products and offers. Thank you. New Limited Edition Prints available now - Shop for the Change Mate now. Please sign up below to keep updated with our Kickstarter campaign.